As a former small town girl and west coast girl through and through, my first visit to New York was everything I thought it would be and more. It was good, bad, and ugly, yet beautiful all at the same time. The garbage piles were putrid, the people were standoffish and outspoken, and the iconic landmarks such as Times Square and the Statue of Liberty were captivating. Conversely, the energy of New York is like nothing I have ever felt. People’s brazen attitudes are actually something I admire. It’s real, it is gritty, and you actually know what people are thinking. Now, you know I couldn’t just do all the normal things on my visit. What fun would that be? Thus, I give you my take on the most unique things to do in New York. Upon arrival, I asked the Taxi driver how I could have the most unique or offbeat experience in New York. 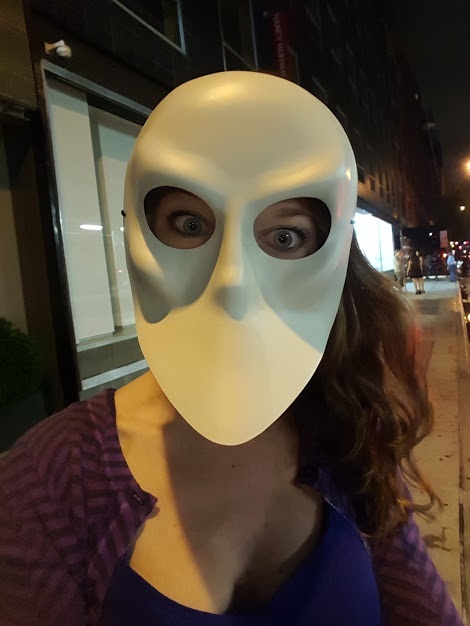 Their response was to definitely check out Sleep No More. Being the inquisitive one I am, I had to press on further, but I also did not want to know all the details. He sort of explained that it was just a play that you follow around from room to room. In my brain this sounded off the wall and perfect! So, without ever reviewing what I was actually getting myself into, I happily booked my ticket that night. I don’t read about many things in advance. It ruins the surprise! This was one of those instances I probably should have actually read reviews. As a person who scares easily, THIS WAS CREEPY and TERRIFYING! However, I can tell you it still ranks as one of the most unique experiences I have ever had. That is all that I will tell you. You need to go into this experience with a very open mind. It is probably the most Alice in Wonderland-y experience I have had to date, with the exception of Burning Man of course. I tried and tried to get into Please Don’t Tell on my first trip to New York without avail. I mean, using a phone booth at a hot dog stand to tell them a number so you can MAYBE get in and have no idea what is even on the menu? That sounds like an offbeat night of fun for every weirdo who has ever existed. Sign me up! Want the exact location details? Atlas Obscura always has you covered! Host Your Own Escape Room! You’ve probably heard of or done an escape room by now. If not, you truly are really missing out on a fun and one-of-a-kind group activity I highly recommend. 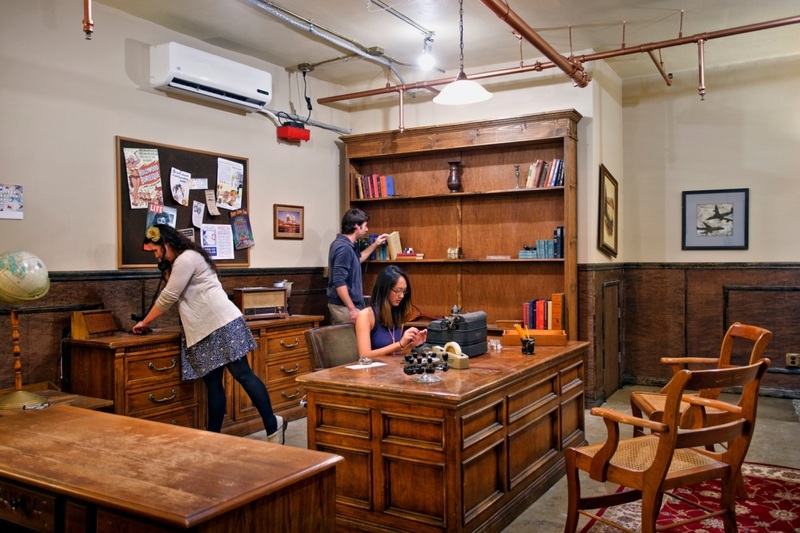 But, have you ever thought about hosting YOUR OWN escape room for either a corporate team building exercise or party? Believe it or not, the interwebs make it seem fairly easy. Of course, first you would need to select an appropriate venue in New York that is a decent price and allows plenty of space. (this one holds up to 75 people to be exact!) After finalizing the location, check out this site in order to download escape room kits! If you want to go next level, you can even build your own escape room. Most of the things I enjoy doing in bigger cities generally don’t cost a thing. (FYI if you’re new here I am a budget traveler) I am a huge fan of just traipsing around with my camera and documenting interesting art or people I see. Sometimes though, it is worth the extra money to splurge on interesting tours and learn about new photography tricks or obscure locations. Speaking of which, there is a unique photography tour in New York hosted through Airbnb experiences that actually gives you bang for your buck. 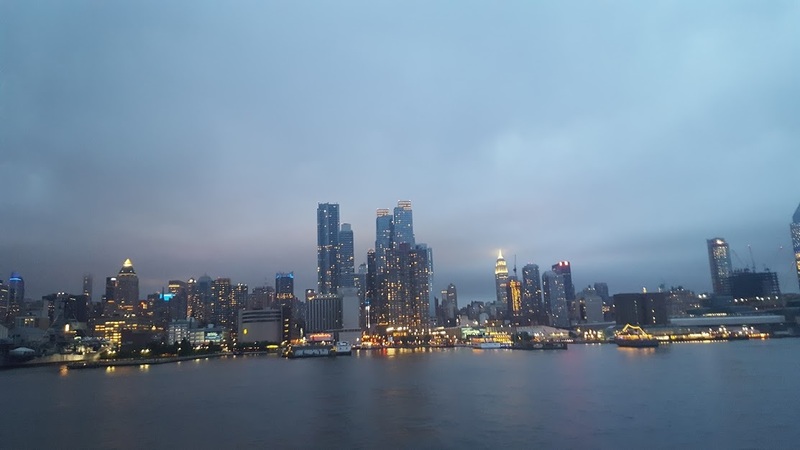 Professional photographer Abdiel Coburg has received rave reviews for his guided tours assisting with photography composition, angles, and showing you all the cool and hidden gems in New York! I know what you’re thinking. How did I get so ridiculously good looking? (Zoolander anyone?) No, you’re thinking what in the WORLD is ASMR and where can I get some. ASMR is a term I had never even heard of until a few months ago. I saw a documentary about it on Netflix and was instantly intrigued by this pop culture phenomenon that seemingly has a cult following. Wikipedia can explain it better than I can, but if I could put it in layman’s terms, I would say essentially it is producing noises that create heightened sensory tingles for others. That does not necessarily mean it is sexual in any way, and sometimes it is quite the opposite of being sexual. To be fair, the Whisperlodge is a pop up event so it technically happens in both LA and New York. However, the main headquarters are in New York so I thought it qualified. Sue me! A Tennis Court in Grand Central Station?! Yes, it’s true and the courts are even open to the public! However, tracking them down is no easy task! From what I read they are located in the Annex. According to the Untapped Cities site, The easiest way to access the facility is to head to the currently shuttered Campbell Apartment, a beloved bar and cocktail lounge, located inside the terminal. It’s now closed but there are elevators in the lobby outside the bar that will bring you directly there. Alternatively, you can also take the elevators located halfway down the ramp that leads to the “Oyster Bar” and Tracks 100-117. So, there you have it. Next time you are in New York make sure you do something beyond the madness of Times Square. Times Square has its own appeal, but there is nothing like falling down a weird and wonderful rabbit hole in the middle of the city. Off the radar activities abound in the city that never sleeps. What unusual or unique experiences to have in New York exist that I have not yet discovered? Let me know!